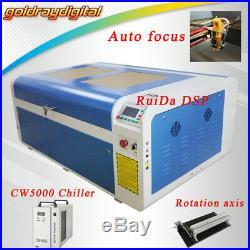 Color separation working of DSP system 100w laser Cutter engraving machine. Only send to Your Port. You can give your address, i can check the. NOT Ready for Nowise(beginner). 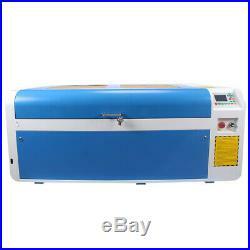 The DSP 100W laser engraving range: advertising logo signs, craft gifts, crystal jewelry, paper-cut process, bamboo carving process. Printing and plate making, garment leather, decoration, garments, building decoration, packing and so on. Applicable materials: color board, plexiglass, glass, acrylic, wood, leather, cloth, marble, bamboo, paper, rubber, plastic Etc. Adjustable Speed and Power, Smooth and Precise Engraving and Cutting. Air Assist, Remove heat and combustible gases from the cutting surface. 18W Air pump, flow can be 38L/Min. Embedded Exhaust Fan, Easier install, Safer transport. 40W exhaust fan, flow can be 5.27m³\Min. Rotary Axis, Engrave any cylindrical object. Cellular platform, Leave no chippings on working area. Intuitive Control Panel, Set Speed, power and more controls directly from the laser. Water Cooling and Protection System with a chiller. With jam-proof heat exchanger, water flow detection alarm, over temperature alarm. Larger Size, 6001000mm working area. Lifting platform is electric control, 0-20cm. Drag - and - chain transmission line. Laser focal length: 6.35CM. A limit switch let it can only work when the cover is closed. 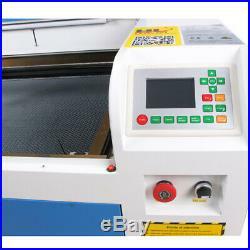 Machine service life: 7200H at least for laser tube, 5-8 years for machine body. 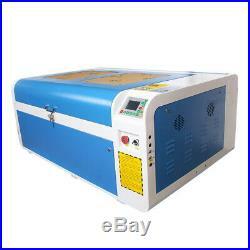 Laser power maximum value :100W. 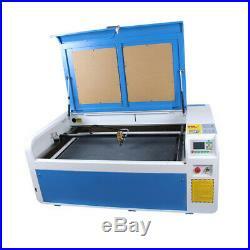 Laser type :CO2 laser engraving machine. Cutting depth :0-15 mm (different material differ). Lifting platform :0-200 mm Honeycomb Worktable. Locating precision :<0.02 mm. Min shaping character Character: 22mm, Letter: 11mm. Data transfer interface :USB 2.0 (offline). Cooling :Water Cooling and protection system with chiller. Graphic Format :Supported (BMP, JPEG, PLT, CDR, AI,)TIFF, PCX, DIB, TIF. Protection :Emergency stop buttom and Stop working when water broken. Wooden box with foam inside. Package weight :267KG (Counted by volumetric weight). Carton box with foam inside. Package weight :29KG (Counted by volumetric weight). 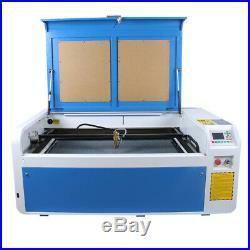 1 x DSP 1060 100W C02 Laser engraving machine. 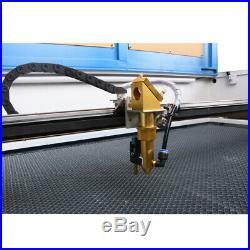 1 x Laser engraving software (down load link). 1 x User Manual (down load link). 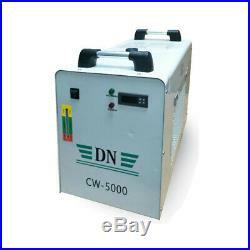 1 x CW-5000 INDUSTRIAL CHILLER. 1 x Air exhaust pipe. 1 x Communication cable and USB cable. 1 x Honeycomb work platform. RECI is the most famous laser tube in China, with quality assurance and long life. Sketch map of Optical system, the laser beam is from laser tube, then reflecting mirrors and focus lens, As following. 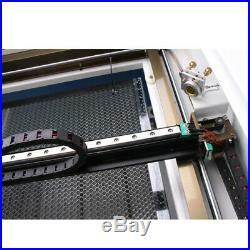 It is used to engrave on wood, bamboo, plexiglass, crystal, leather, rubber, marble, ceramics and glass and etc. Painted Metals and Anodized aluminum. Can not work on metal materials. It is most suitable and the preferred choice of equipments in industries such as advertisement, gifts, shoes, toys and etc. XB-1060 DSP 100W laser RDworks off-line with high-speed High configuration. The use of high-tech control system, Imported lens and reflector system. Use USB 2.0 off-line. Supports CAD and RDworks and CoreldRAW software , variety of software typesetting engraving and. 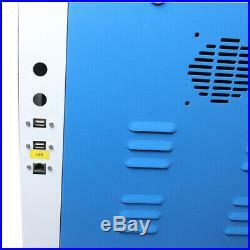 Using professional high quality laser power supply and C02 laser tube. The advantages of High-speed offline board configuration. It supports RDworks and CoreldRAW and CAD software to engrave and cut. The Engraving and cutting color separation work at the same time. The different colors can be set for different engraving and cutting. The Independent DSP system, can work without a computer. DSP control, you can engraving and cutting directly. What type of business do you have? What purpose and material to make with? A sketch or a sample if you have. We make a sample and take video to show artwork physically. You can tell me how you feel about it. Make some change if any. Once you are satisfied with final artwork effect. I will send you the machine. Return for reasons like "change mind/I don't like" are not acceptable. A: Machine is always required to setup/install(NOT ready to use). Q: I have received my machine but it is too difficult to setup. A: Yes, return is accepted. Q: Do you solve hardware&software issue? Q: I received my machine but box was seriously damaged so machine was heavily damaged. Q: I received my machine but I found tiny deformation on side panel. A: In this case, please check/test whether the machine works in order. If so, we send some gifts in small value. Return is NOT accepted for such reason. We send some gifts in small value. Q: I receive my machine but it doesn't work in order forparts/accessories are broken. A: I will send parts/accessories for free. 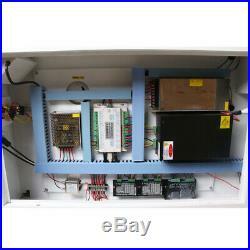 Q: I receive my machine but product appearance different to photo in listing(like panel, switch, pump, fan. If product works in order, return was NOT accepted. Q: I receive my machine with a lot of scratches. A: The machine was economicsolution to business. Appearance was not care too much. It is NOT used, just born with a lot of scratches. 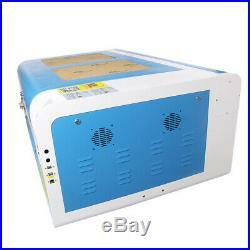 The item "Auto Focus Reci 100W 1000x600mm Co2 Laser Cutter Laser Engraving Machine CW5000" is in sale since Monday, August 14, 2017. This item is in the category "Business & Industrial\Printing & Graphic Arts\Screen & Specialty Printing\Engraving". The seller is "goldraydigital" and is located in shenzhen. This item can be shipped to United States, all countries in Europe, Canada, Japan, Australia.